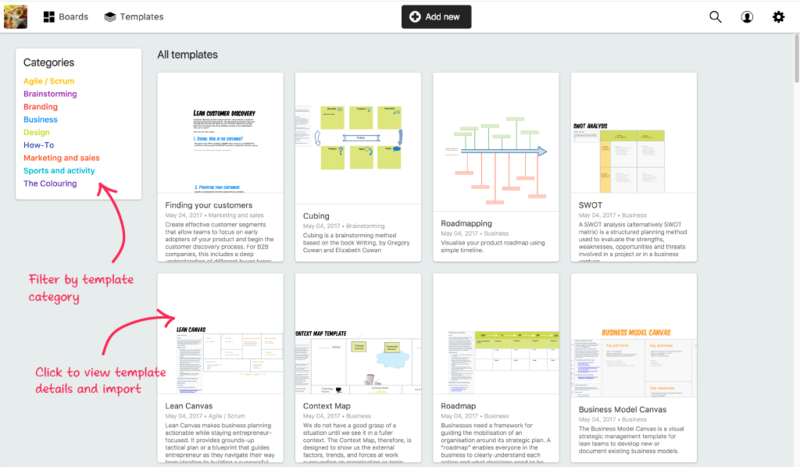 There are various templates in Deekit that you can use, right from the Board Grid or get them from the web gallery. We have templates for business planning, sales and marketing, Agile and Scrum, Design and even for coloring and fun. Choose the template you want to use and click on it. Choose where you want to create the board and give it a name. Click Duplicate board and you are done! You can also create your own templates as every board you create can be duplicated as many times as needed. You can import template from Gallery by clicking Import or click on the thumbnail to read more about each template first. Follow the instructions for import. 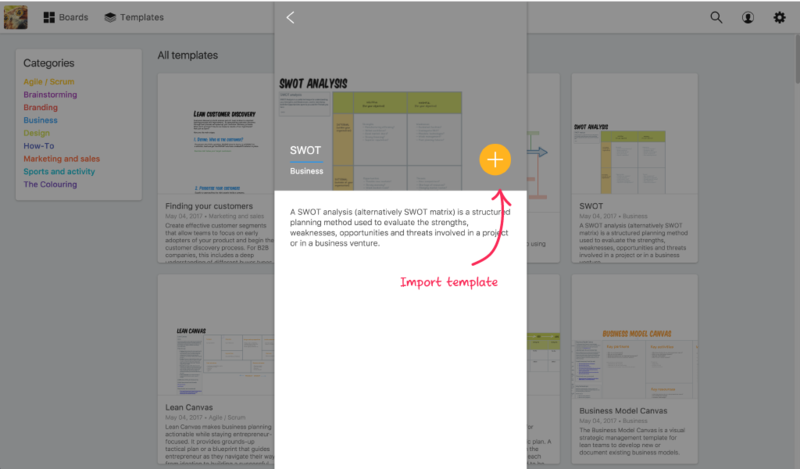 Keep in mind: Only Administrators and Full members can use templates.